I know that you have big dreams and you are out there, trying to show up, move forward towards your dreams, and make things happen. And some days, you are on top of the highest mountain, shouting your victories for all the world to hear. Then, the next day (or actually maybe just 10 minutes after the whole top of the mountain moment)… you’re feeling like you just got pushed off the mountain that only minutes ago you had conquered. When this happens (and it will happen often), it’s so important to have the right mindset and to keep the good and the bad events of your life in perspective. Today, we are going to talk about how to celebrate your wins, even when you are feeling discouraged. When you take the time to celebrate your wins, you just might find that you haven’t actually tumbled too far down the mountain. Maybe you’ve even found a shortcut or another path that you didn’t see before. As soon as you start to have these types of discouraging thoughts, it’s good to take a minute and think about what you have accomplished and celebrate those wins. I may have published only one interview for the podcast this month, but I did accomplish a lot of other things. I started blogging for Gander Outdoors and published 4 articles in November!! Click here to check them out. My song “Free” was used as the theme song for Full Time Freedom Week, an online event for aspiring RVers. 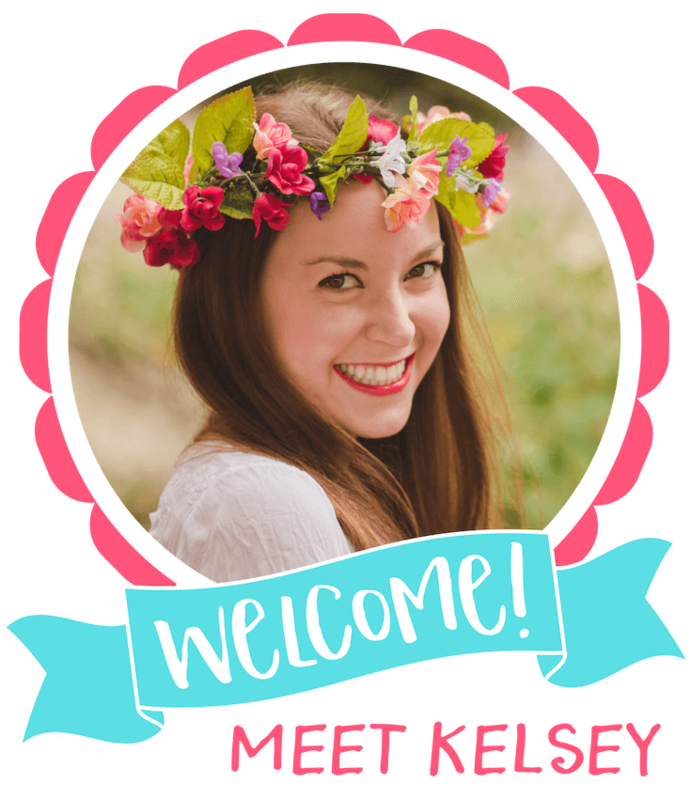 I also was a featured speaker for the topic of roadschooling AND I wrote an entire ebook about roadschooling! I officially started on a new recurring Pinterest client project for a national brand. Plus, I was living in a car for part of this time!! When you stop to think about what you have accomplished and celebrate your wins, you realize that you have been making progress all along. Now, you can reassess your goals and continue to move forward. Getting out at least one episode a week is still very important to me, so now I can reconfirm this goal and reprioritize my schedule to make this happen. Here are some tips for how to celebrate your wins, even when you’re feeling discouraged. It can be really hard to celebrate when bad things happen. It’s typically not the first response in these situations, but everything happens for a reason. What you’re going to do in this stage is figure out what that reason is. You’re going to do a practice called “Looking for the Lesson and the Gift”. This comes from a book called Happy for No Reason, by Marci Shimoff. 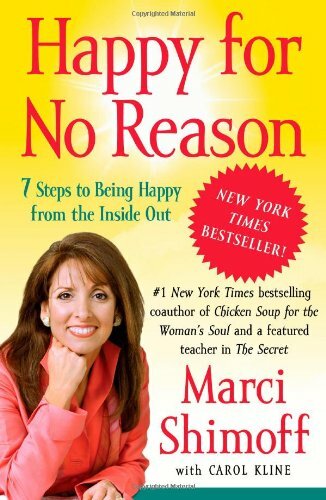 This is one of my absolute favorite books and resources for happiness. If there was a lesson here to be learned… what would it be? And if there was a gift in this situation, what would that gift be? Say you went through a breakup. It was not something you wanted to go through and you are pretty upset about it. What’s the lesson and the gift here? Well, maybe the lesson is that you were dating the wrong type of person and the gift is that now you have the freedom to find someone else. You may not be super happy with the lesson and the gift that you are receiving in that moment, but the important thing is that you can identify a lesson and a gift in your situation. Since I launched my album “Music & Lyrics” back in August, I’ve been trying all kinds of promotional activities to sell more albums. Sometimes, I’ll have the greatest idea ever and immediately sell some CDs. Sometimes, I’ll have the greatest idea ever and not have a single sale. This rollercoaster can be really frustrating! But when something doesn’t work out, there is a lesson (I need to try something else) and a gift (knowledge of what to do next time). After you determine your lesson and your gift, you can use the other ideas in this post to celebrate those as wins. If something good happens to you today, take the time to be grateful and share your wins. Think of all the wonderful things that happened to you today. Really let it fill you up and be grateful for it in this moment. When you take the time to appreciate the good and celebrate yourself, you’ll attract more things into your life that you can celebrate and be grateful for. When something great happens, write it down in a notebook, just like you would with a gratitude journal. This will be your win log of all the wonderful things you have accomplished and all of your successes. Write down the big accomplishes and the small. Write down all of your lessons and gifts too! Remember the day you made the first dollar in your business. Celebrate the fact that you worked out three times this week. Write down any and all wins you can think of. Your win log will be a great resource when you are feeling discouraged and will give you motivation to reach your goals. When something awesome happens, share it! Tell your friends, family, accountability partner, mastermind group, etc. Share your wins with each other and then celebrate all the wins together! It’s even more powerful when you add more people to the celebration. Make sure that when you are sharing, it’s with someone who will be a positive influence. You want someone who can help you look for the lesson and the gift and then celebrate all of your accomplishments. Then, you want to be able to do the same for them. This is where we really get to the celebration of this topic. This is where you turn on some music, throw your hands up in the air, and celebrate the amazingness of the things you have accomplished. Pamper yourself, treat yourself, and most of all just feel good! Have a DIY spa day, take a nap, read a great book, take a break, or anything else to just celebrate and be present in this moment. Then do some fist pumps in the air and get all giddy about it! I hope this has been helpful for you and I want you to take the time to celebrate your wins, even when you are feeling discouraged. Everything happens for a reason and I’m right there with you, looking for the lesson and the gift every day. We’re doers, we’re dreamers, and we’re out there making things happen. Remember to stay in the moment and be grateful for all of your wins. I believe in you. You got this! Liked this episode? Save it to Pinterest! Celebrate your wins even more with some fun self-care ideas! Put some fun in your self-care routine! 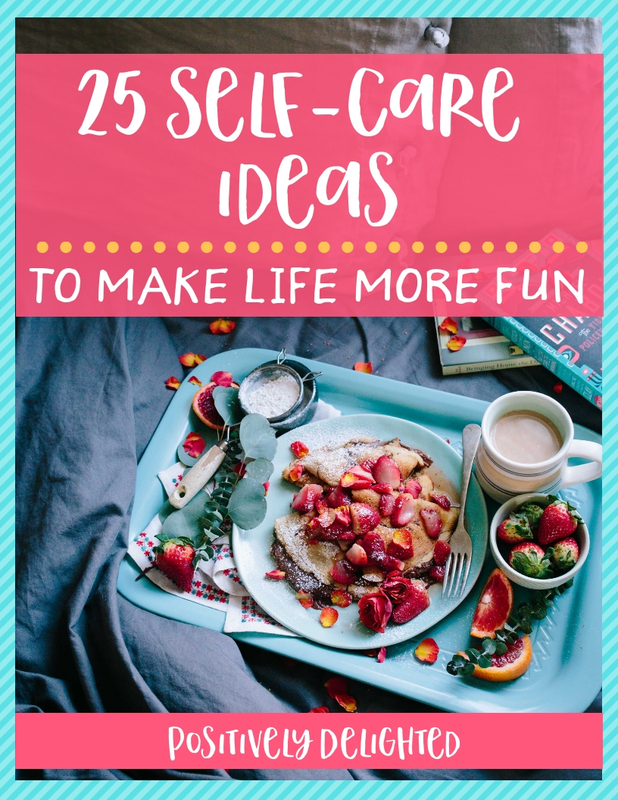 Sign up for our email list to receive a free download of the guide: 25 Self-Care Ideas to Make Life More Fun! By submitting your information, you consent to receive emails from Positively Delighted. We respect your privacy. We will never sell your information or send spammy messages to your inbox. That’s just uncool! Disclaimer: This post contains affiliate links. If you purchase through these links, I will receive a small commission.